My wife and I haven’t been terribly satisfied with the bed we have lately, so we decided to reach out of our comfort zone and try a new “mattress in a box” memory foam bed. 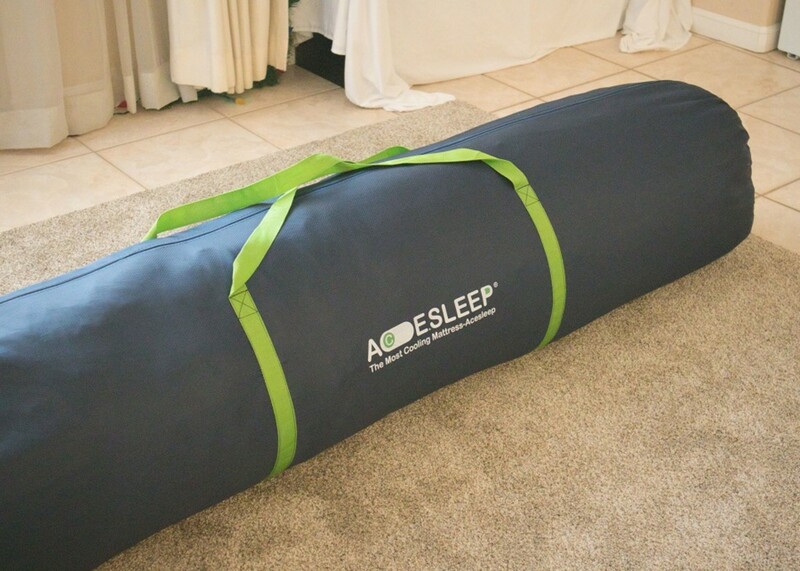 After a significant amount of research, we settled on the Acesleep Mattress. This is a newer mattress so we didn’t quite know what to expect and a few things did surprise us about this bed. A delayed rebound in the material feels great. You don’t sink in too far or too little. Easy to stay cool at night compared to other memory foams mattresses. Motion transfer could be a bit better. Appears to be very high quality. At 12-inches thick, you’ll need deep pocket sheets. It’s the best memory foam I’ve found for side sleepers and those who sleep hot—it's cool with no pressure points! 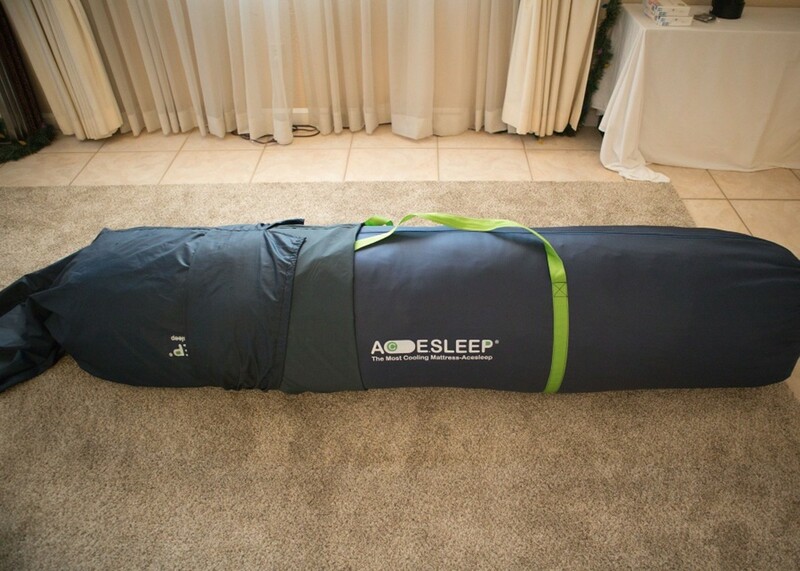 This is a quick summary of what you should know about the Acesleep mattress. Like many mattresses these days, there are a host of features. There are a few though that were unexpected such as the extra grip on the bottom of the mattress and the layered makeup of the bed which included a bamboo charcoal foam layer, which is great if you hate toxins in the air! 12-inch Cooling Memory Foam: At 12 inches, this is a thicker bed (deep pocket sheets are needed) that’s is built around staying cool. I’ll discuss the cooling features more in a minute. High-Tech Mattress Cover: A “phase change” mattress cover also helps you stay cool, it’s breathable, washable, and made without harmful chemicals. Fireproof Construction: This mattress is non-flammable, passes the CFR-1633 flammability test, and accomplishes this without any chemical fire retardants. CertiPUR-US Certified: Certified to be free of harmful chemicals in its construction and low on VOC’s. Added Grip on the Bottom: Small grip points speckled all across the bottom helps the bed stay in place on all types of bed support systems. Probably the best feature of this mattress is its unique multi-layer support. You can really tell a lot about how a mattress might feel if you pay close attention to its makeup. Most memory foams have multi-layered support these days but this mattress has a very unique makeup. Thanks to Amazon Prime, our new king-sized mattress arrived at our door in two short days. Pretty impressive for a large bed like this one. Removing the outer, drawstring bag that this mattress is shipped in reveals another, inner bag. This is the inner bag with bright green handles. It looks like a very large duffel bag and the handles makes it much easier to move. Breathable Cooling Memory Foam (2.5 inches): This top layer is made from a plant-based eco-friendly foam. It’s also called an “open cell memory foam” which is intended to help keep you cool. Small venting holes are visible on this layer which allows it to channel air through the sides of the mattress to the top. The density of this layer is 3 lb/ft3. Bamboo Charcoal Memory Foam (2 inches): The next two inches is a bamboo charcoal memory foam which is resistant to dust mites and bacteria. This is very unique for a mattress, and the great thing is charcoal absorbs toxins from the air. The density of this layer is 5 lb/ft3. Gel-Infused Memory Foam (1.5 inches): The next layer is a gel-infused memory foam which transmits heats away from the body and helps relieve pressure points. 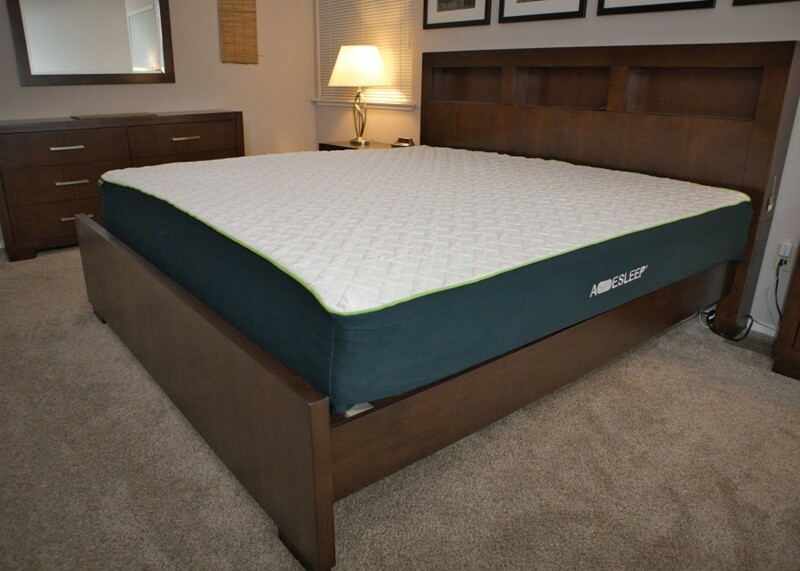 Its other intended purpose is to help the mattress relieve pressure points and contour to the body. The density of this layer is 2 lb/ft3. High-density Foam (6 inches): Just about all memory foam mattresses have some sort of high-density foam as the bottom layer to support the other layers and resist sagging. This mattress has 6 inches of support foam, which is quite more than the average mattress. Take a look at each layer’s density. I found the makeup of this mattress extremely unique. The higher the lb/ft3 number, the denser the material in that layer is. Notice how it doesn’t just slowly increase in density with each layer like other memory foam mattresses. It goes from a density of 3 lb/ft to 5lb/ft3 and then decreases down to a much less dense gel memory foam at 2lb/ft3 before coming to the bottom support layer. Seeing this made me excited to try the mattress. Would this bed feel as unique as it’s construction? My husband unzips the inner bag after placing it on the bed, revealing the mattress inside. The mattress is tightly rolled and compressed inside two layers of plastic. After cutting the first layer of plastic with the included safe cutting device, the bed can now be unrolled. It's still being compressed by one more layer of plastic. Make sure it's right side up! Cutting open the inner plastic will allow air to rush into the mattress and it'll expand very quickly. You can hear the air rushing in as you cut. 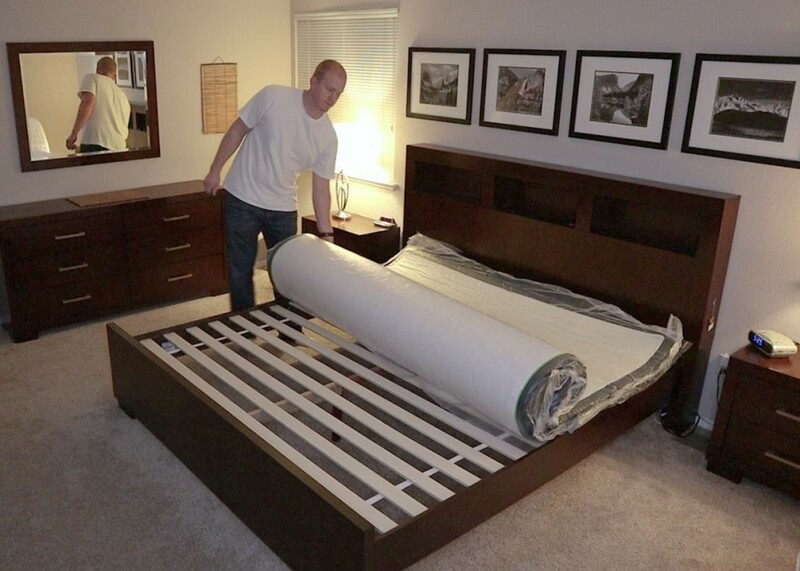 Remove last layer of plastic and allow the bed to sit at least three hours to make sure it has fully expanded. 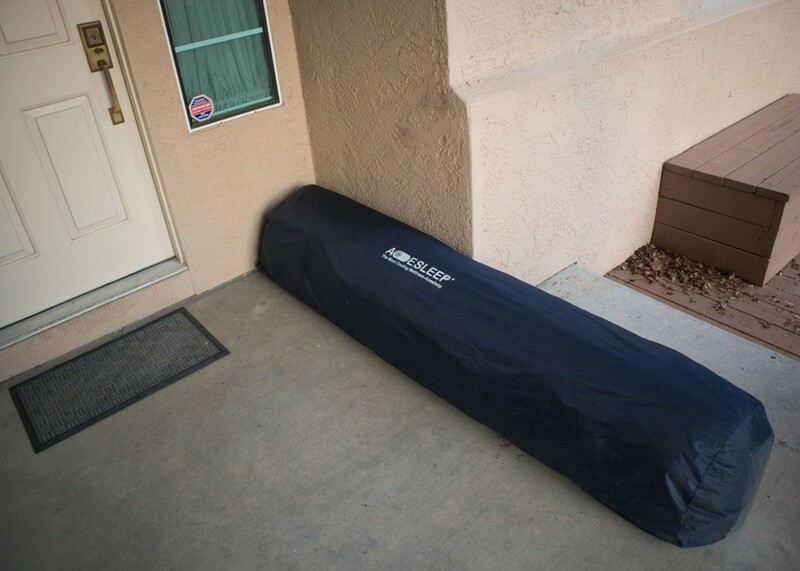 This bed showed up to my door inside a fabric bag with a drawstring at one end. After removing that bag, I found another bag inside with a large Acesleep logo on it and a safe bag cutter to cut the mattress free from the inner plastic wrapping. It looked like a large duffle bag with bright green handles which definitely made it easier for my husband and me to move around. It’s heavy, but if you get down to the inner bag with the big green handles, it’s certainly moveable with one person. Inside the duffle bag was the rolled up mattress under two layers of plastic. One layer of plastic kept the mattress in a rolled form, while the inner layer kept the mattress compressed until it’s cut open. The instructions inside where a little vague on the steps for setup, so here are the steps for setting up this mattress that should work best for most people. Step 1: Remove the outer bag (the bag with the drawstring at one end) by peeling it down and off the mattress. You may want to do this on your front porch since the next layer allows access to the handles making it easier to move. Find the safe cutting device, you’ll need it later to cut open your mattress. Step 2: Use the green handles to bring the mattress inside and position it crosswise near the top of whatever base you intend to use for this bed. 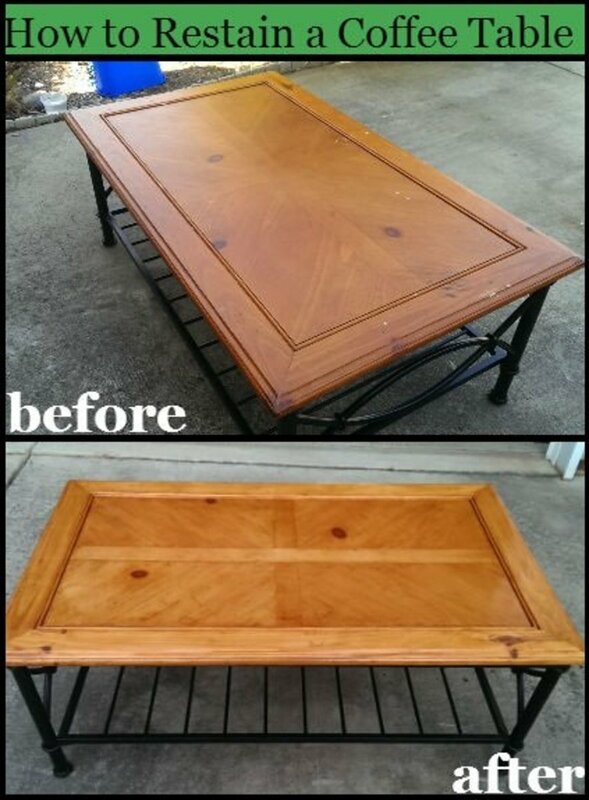 This can be done by one person in most circumstances, but if it seems too heavy or bulky, get someone to help you. Step 3: Unzip this layer exposing the plastic covered mattress. Remove the bag with the handles completely leaving only the rolled up bed on the base (boxspring, platform etc). Position the bed as necessary. Step 4: Using the provided safe cutting device, carefully cut only the first layer of plastic that’s keeping the mattress rolled up. Take care not to cut the inner plastic layer or the mattress will start to expand. Roll out the mattress. Make sure it is face up, and that it’s positioned appropriately. Remove the plastic you just cut off and discard it. Step 5: Starting at one corner, use the provided safe cutting device again to cut open the inner layer of plastic. The mattress will start sucking in air and expanding as you do this. Cut the plastic around three of the four sides of the mattress and discard the plastic. Take care not to cut the mattress cover. Let it sit for at least 3 hours to fully expand before using. The fully expanded bed is very pleasing to the eye. It's thick and the outer cover appears to be high quality. The mesh siding on this mattress lets air easily flow into the various layers of the bed, keeping you cool at night. Like anything else I order online, I certainly over-researched this mattress before I got it. Yes, it frustrates my husband quite often, but it has also helped us dodge a few bullets in the past. 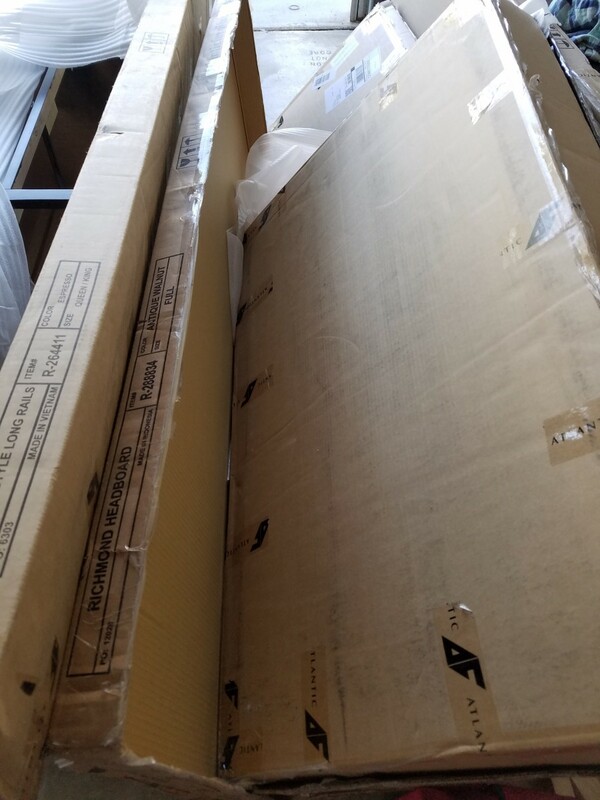 I found that the Asleep mattress is new to the mattress-in-a-box world and although it meant there wasn’t a huge number of reviews out there, I was excited to potentially be an early adopter of what could be a revolutionary type of mattress. After letting the mattress expand for a little over three hours as the instructions told me, I noticed that the bed was still a little deformed. It was still bowed along the edges. I guess it just needed a little longer than three hours to settle out. It was probably my fault for procrastinating setting up this bed and leaving it rolled up a bit longer than most people. Before going to bed on the first night, I noticed the mattress had settled out and appeared to be a normal shape. The very first thing my husband and I noticed was the thickness of the bed. At 12-inches thick, it sat noticeably higher than the Purple mattress we were replacing, which was about 8 or 9 inches thick. The next thing we both commented on was the quality of the bed. It appeared to be very well made, and the mattress cover definitely seemed substantial. It had perforated holes in the top, it was cool to the touch, and the sides of the mattress were a breathable mesh that seemed thick and well constructed. The fact that it was also fairly thick and relatively heavy helped to give off the impression of a higher-end mattress. We were both impressed at our first inspection of the unrolled mattress. This is the fourth memory foam mattress we’ve owned in the last few years, and I can say the mattress is definitely on the softer side. It has a medium plush feeling that really does feel like that mattress is “hugging” you to sleep when you lay down. You do sink in a bit, but it’s not too much and doesn’t make you feel trapped. I felt it was the perfect amount. One unique feeling about this mattress is the slight pause before the material rebounds. With my past memory foam beds I’ve learned that if the rebound is too slow, you feel trapped in the bed and like you can’t change positions. If it’s too fast, it doesn’t feel like it’s really hugging you to sleep. This mattress has the perfect, slight amount of pause, before rebounding. It makes it easy to change positions, doesn’t leave me feeling trapped, but still had a satisfying “hug” feeling. During my research of this mattress, I’ve come across some people online say that this mattress isn’t very good for large people who need lots of support or stomach sleepers due to how plush it is. My husband is 6’2” tall and 240 pounds, an avid stomach sleeper, and he really enjoys this mattress. I will admit though that he’s easy to please and doesn’t complain much, but he swears he is very happy with the support of the mattress. If you are bigger than he is, and a stomach sleeper, you may want to do some extra research before buying this mattress. I’m confident that side and back sleepers will both really enjoy this mattress. I think where it really shines though is with side sleepers. If you’re a side sleeper like me, this mattress is absolutely amazing. That’s because side sleepers usually have issues with pressure points. For example, a feeling of too much pressure on the hips or shoulder areas while resting on your side. This mattress does an absolutely amazing job of applying even pressure across in all areas. Yes, even when you’re on your side and your hips are digging deep down into the mattress, it still feels like even support across the whole side of your body. This mattress is the hands-down best at relieving pressure points out of any of my past mattresses. I have mixed news to report about the motion transfer qualities of this mattress. Here’s the deal; as far as traditional memory foam mattresses go, it’s pretty good at keeping motion transfer to a minimum. As far as all mattresses go, however, there are some better options. I can definitely feel it when my husband tosses and turns during the night, but keep in mind that he’s pretty large. I do remember our old traditional memory foam mattress from a few years ago was quite a bit worse with motion transfer though, so technology has definitely improved. If you’re very sensitive to movement during the night, consider something like a natural latex mattress or even the Purple mattress. If you’re upgrading from an old, more traditional memory foam mattress, this will still be far better than what you’re used to. Overall, I’m less disturbed by my husband at night since he reports being more comfortable on this mattress and seems to toss and turn much less than before. This company clearly spent a lot of time and energy trying to eliminate the long-standing problem most memory foam mattresses have; heat retention. It’s usually pretty easy to get overheated on a memory foam mattress. A Perforated Phase Change Mattress Cover: The top of this mattress cover is perforated allowing air to move through it. It’s also cool to the touch, then slowly distributes out the warmth. Mesh Siding on the Mattress Cover: The sides of this mattress cover are a mesh type of material that easily breaths, allowing air to flow into the various layers of the bed. Open Cell Foam Top Layer: The most important layer for keeping you cool at night is the top layer. This bed has open cell memory foam that’s very breathable. Small vent holes are visible in the foam itself every inch or so. My husband is the hot sleeper of the home, not me. He reported that it was easy for him to stay cool and he didn’t have near the issues he had with our older memory foam mattress from a few years back. After trying so many mattresses in the past year or two, I’ve come to understand that all mattresses off-gas, especially memory foams. This one did as well, although it was the smallest amount of any mattress we’ve had so far. We slept on it the first night, something we just wouldn’t do on the Sweetnight memory foam mattress we tried recently. The bamboo charcoal layer likely had a lot to do with this. If you aren’t already aware, charcoal naturally absorbed toxins and chemical pollutants. Although I can’t back this statement up with anything more than a hunch, I really feel that layer had a lot to do with why the new mattress smell (or “off-gassing”) was so minimal. 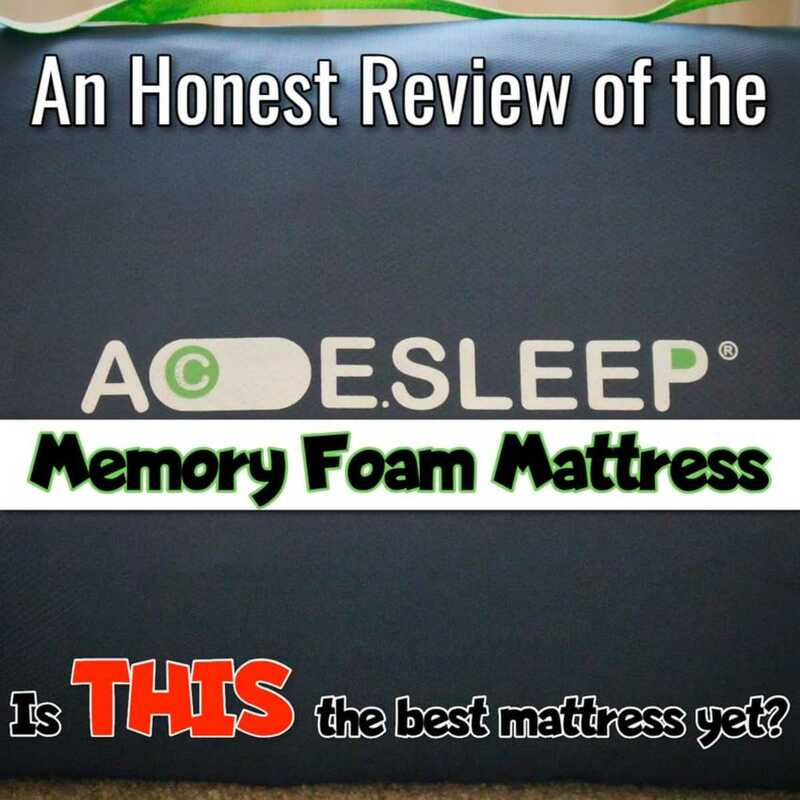 At the time of this review, there is only one type of mattress that Acesleep offers. However, it does come in all the standard sizes including Twin, Twin XL, Full, Queen, King, and Cal-King. Shipping through Amazon Prime is free and you’ll get it in two days. Shipping directly from the Acesleep website is also free. I spent a lot of time researching exactly how the Acesleep return process works since I believe the option to try out a mattress and return it if you aren’t satisfied is incredibly important when ordering a mattress online. Acesleep gives you 120 days to try out this mattress completely risk-free. If you don’t like it, call Acesleep customer service and advise them that you’d like to return the mattress. They’ll likely ask you to send them a photo of the bed and then they’ll arrange for a local charity or recycling center to come and pick up the mattress free of charge to you. 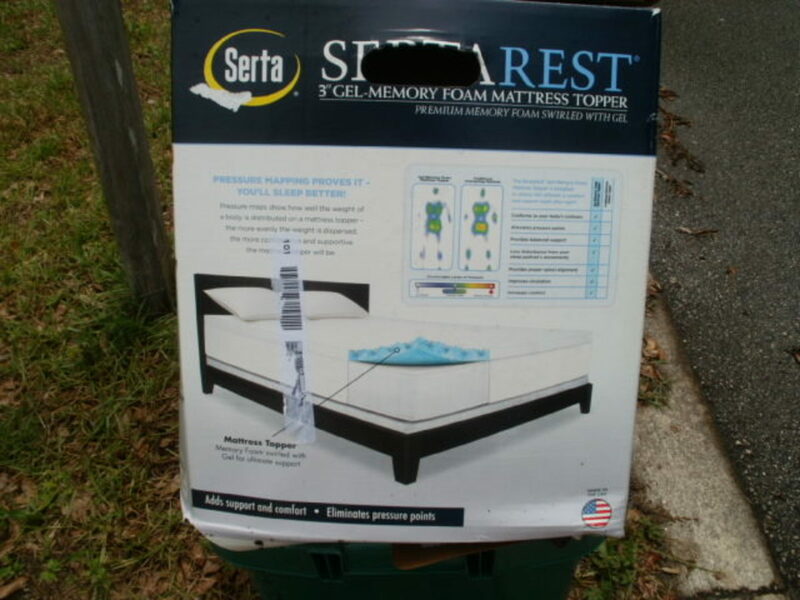 Once the mattress has been picked up, you should receive a full refund within about 48 hours. You won't be charged shipping costs or any other fees. Acesleep guarantees all of their mattresses for 15 years from the date of purchase. This was actually a decent selling point for me since that’s 5 years longer than the industry standard for memory foam mattresses. 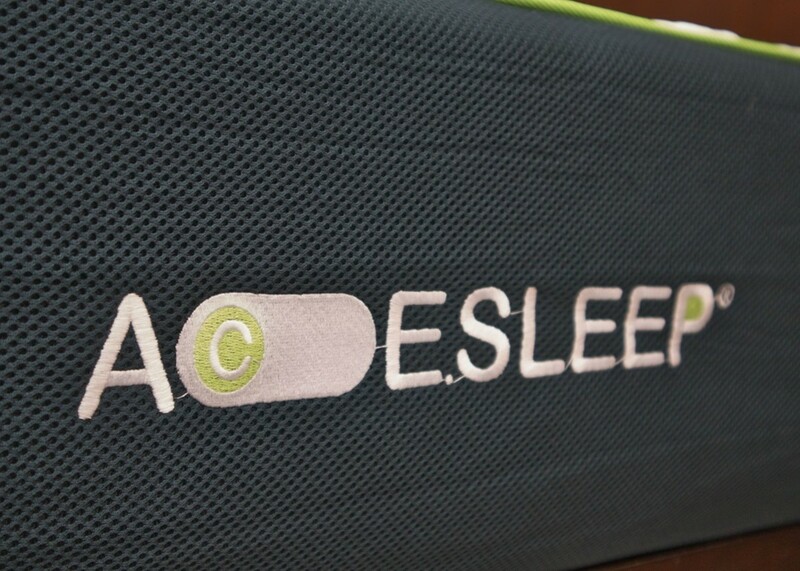 If you do need to use the warranty, Acesleep will either repair or replace the bed, at their discretion. The warranty is non-transferable meaning you can’t sell your mattress to someone else and transfer the warranty to them. However, you won't be charged a shipping fee for a replacement mattress if the company determines that’s necessary. For more information about what they’ll cover and not cover with the warranty, have a look at the Acesleep Warranty page. This is the exact mattress I bought and I would definitely buy it again. Side sleepers or those who usually sleep too hot to enjoy a memory foam will love this mattress. Definitely! 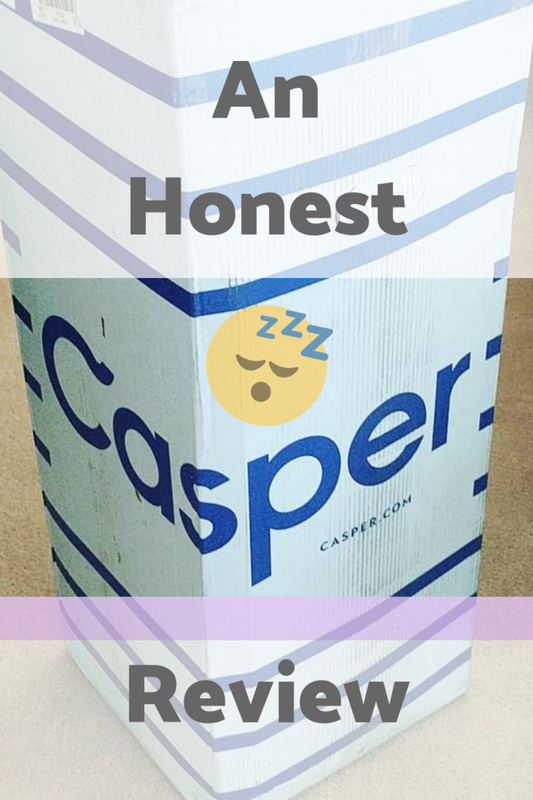 My husband and I are very happy with our Acesleep mattress and would definitely buy it again. My husband doesn’t toss and turn as much, I experience absolutely zero pressure points while sleeping on my side, and now we’re sleeping in later on the weekends than we used to. If you’re looking for a memory foam mattress in a box, I’m certain you’ll love this. The only people I might consider steering away from this mattress are those who are extremely sensitive to their partner’s movements. However, for those side sleepers out there, this is definitely the mattress for you! I have yet to find a better mattress for side sleepers, and I’ve tried quite a few. Back and stomach sleepers should also love this mattress and also those who love memory foam mattresses but tend to get too hot at night. Give it a shot, I hope you’ll like it as much as I do. Even if you don’t, remember that you can always return it and get a full refund within the 120 days. That’s all for now. Good night! Best Mattress for Side Sleepers With Back Pain! This is a very useful and thorough review. The long guarantee is very impressive.